We started in November, 2012. It is planned to be finished by early 2014. In the company, we have made the decision to invest in improving the working methods of our production lines, making a new array of the areas and increasing their installed capacity. 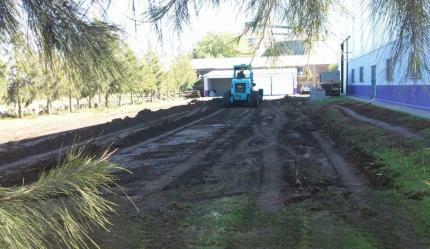 We started soil movement in November 2012 and nowadays, we are finishing building the foundations. Once this important work is finished, Desinmec will be prepared to face new challenges with the responsibility that depicts the company.